Everyone who takes care of animals is concerned about their welfare. 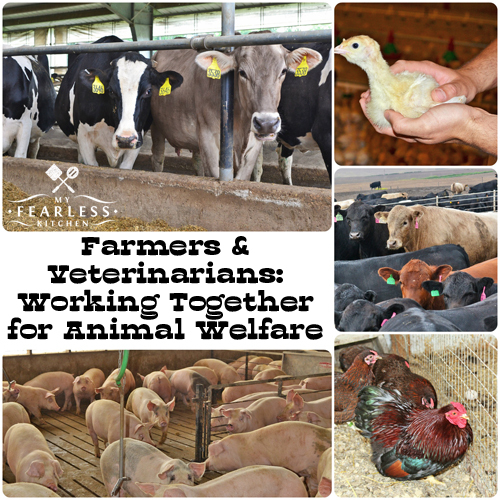 Farmers work closely with veterinarians to ensure the best animal welfare possible. 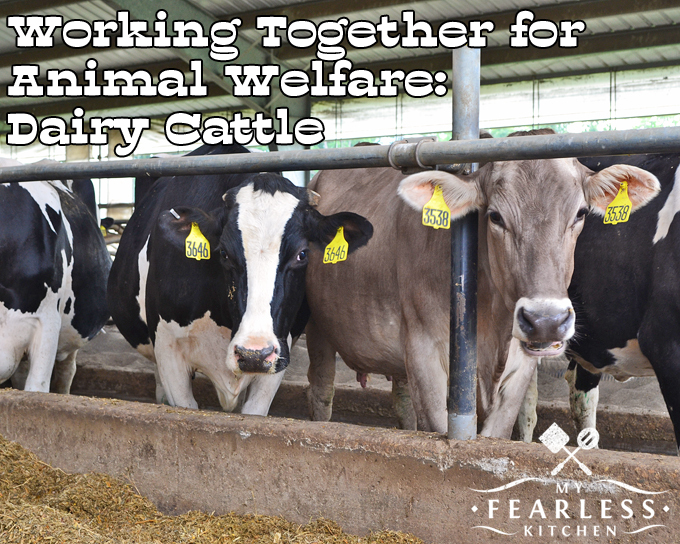 How Do Farmers and Veterinarians Work Together For Animal Welfare? Animal welfare is important to everyone who deals with animals. Whether you are a pet owner, work in an animal shelter, a farmer, a veterinarian, or have animals touch your life in other ways I know you care about animal welfare. For farmers and veterinarians, taking care of animals is how we earn an income to support ourselves and our families. 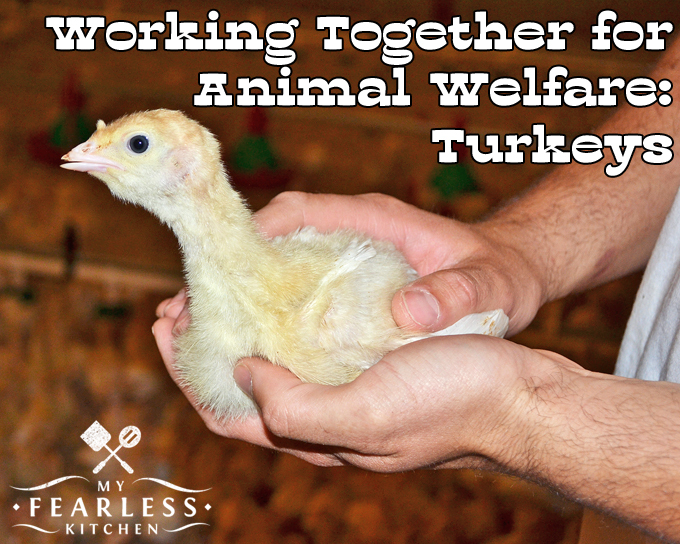 Taking care of our animals the best way we know how is the way we provide for our families. 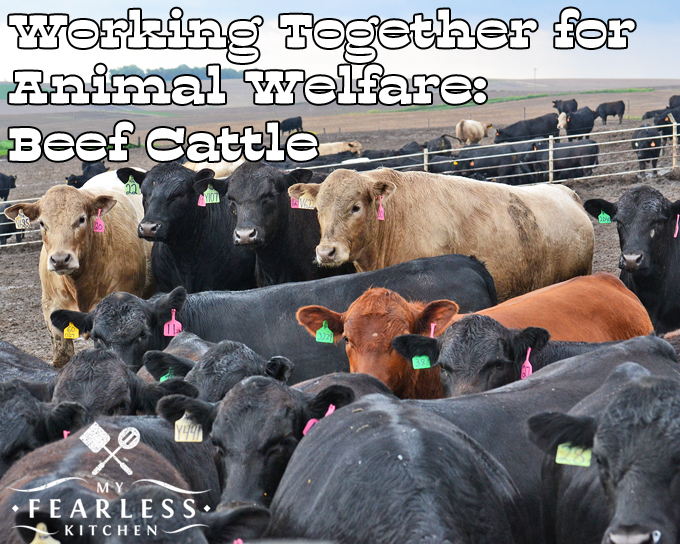 Modern farming practices have come a very long way in helping us take care of animals in better ways. While every farmer may do things a little bit differently, they are always doing the very best they can. Different practices work better for different animals, in different areas of the country, and even for different families. On dairy farms and beef farms, there are so many ways farmers and veterinarians work together to keep their cows healthy. Farmers may use straw, wood shavings, or sand as bedding for their cows so they have a comfy place to lie down. Dairy farmers work with veterinarians to be sure their cows are as healthy as they can be – that means regular herd health checks, routine vaccinations, and treating sick cows when they need it. Nutritionists are an important link in the animal welfare chain. Cows are very special animals in that they can eat many things that people can’t (like grass and distillers grains, a co-product from making ethanol from corn) and turn them into protein. Nutritionists work with farmers and veterinarians to balance the cows’ diet based on what ingredients are available and the nutritional content of each different batch of ingredients. Regular milking means that farmers look at each and every cow at least 2-3 times a day. (And usually much more than that, as they are in the barn a large part of the day taking care of the cows.) This close contact lets farmers get to know each individual cow, the cow’s behavior, and the cow’s personality. Farmers can tell when a cow might not be feeling her best or if there is a problem. Then they can move the cow to a hospital pen where she can get personalized veterinary care. Pigs are no different. Well, okay, pigs are very different than cows. But the way farmers and veterinarians care about pigs is no different than the way they care about cows. Most pig farmers now keep their pigs exclusively inside. This is for the pigs’ health and for human health. Being inside protects the pigs from predators, sunburn, the parasite Trichinella, and other diseases. People used to be infected with Trichinella from eating under-cooked pork. Now, since pigs raised inside aren’t exposed to Trichinella, the pigs aren’t infected, which means people aren’t infected either. 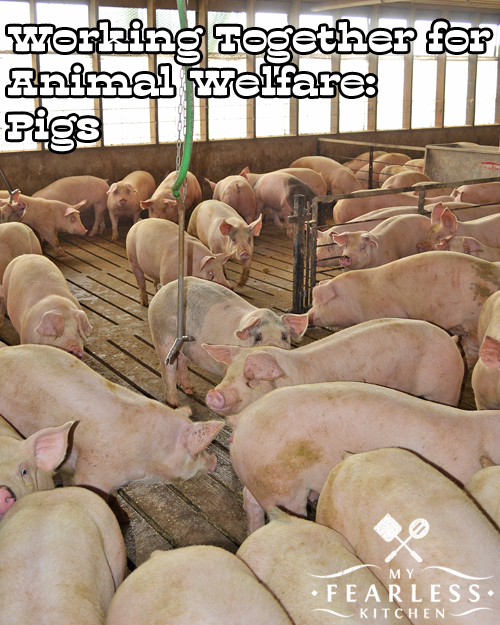 Some pig farmers choose to keep their sows (adult female pigs) in gestation stalls or farrowing stalls. Pigs can be very mean to each other. Think about that clique of kids you knew in high school. They were the popular ones, and they may have been mean to other kids who were not in their clique. Pigs are like that, but worse. In any group of pigs, there will always be a boss sow. She will have a few other pigs in her clique. These large ladies will pick on any other pig who – for whatever reason – they don’t like. In pig terms, “picking on” means chasing other pigs away from food, keeping them away from water, and biting. If these pigs were people, this would be an extreme case of bullying. Keeping pigs in separate stalls means that they are all protected from bullying behavior. In separate stalls, farmers can monitor how much each pig is eating and drinking. They can check each pig multiple times a day to see how they are acting and feeling. Individually, it is much easier to identify one pig in a group who isn’t feeling well and quickly get them veterinary attention. When pigs are in stalls, it is also possible to only give antibiotics to the one pig who needs them, instead of giving antibiotics in the food to every animal in the group. Farming practices on poultry farms have certainly come a long way! Turkeys and broiler chickens are kept in groups in large barns. Laying hens are kept in small groups in cages or in large groups in cage-free barns. (Broiler chickens are raised for meat. Laying hens, well, they lay eggs.) These barns protect the birds from predators, heat, cold, and diseases that can be carried by wild birds. Complex heating and ventilation systems keep the birds comfortable inside, no matter what the temperature is outside. Automatic feeding and watering stations throughout the barns mean that the birds can eat as much as they want, whenever they want. Farmers walk through their barns multiple times a day to check the health and well-being of their birds. Veterinarians help to craft a flock health plan to keep the birds healthy. Nutritionists work with the veterinarian and farmer to give the birds a balanced diet at every stage of their life. Cages for chickens has been a hot topic. There are some pros and cons to every farming system, and cages are no exception. But cages are a popular way to keep laying chickens for a number of reasons. Depending on the size of the cage, it may hold 3-6 chickens. These chickens will live together for most of their lives. They will establish their own social “pecking order” and will figure out how to get along. Farmers can monitor each group of chickens easily, and quickly notice when one bird or one group of birds isn’t feeling well. The small group can be treated if need be, instead of treating the entire barn full of chickens. The pecking order is a real thing in chickens. It’s similar to the bullying I talked about above in pigs, but it can be even more extreme. If a “boss chicken” decides she doesn’t like another chicken in her pen, she will start to peck at that chicken. Other chickens will join in. Anything different on a chicken – like a raw spot from being pecked – attracts the attention of other chickens, and soon one chicken may be attacked by dozens of other chickens. These chickens won’t let up, and may actually peck the victim to death. 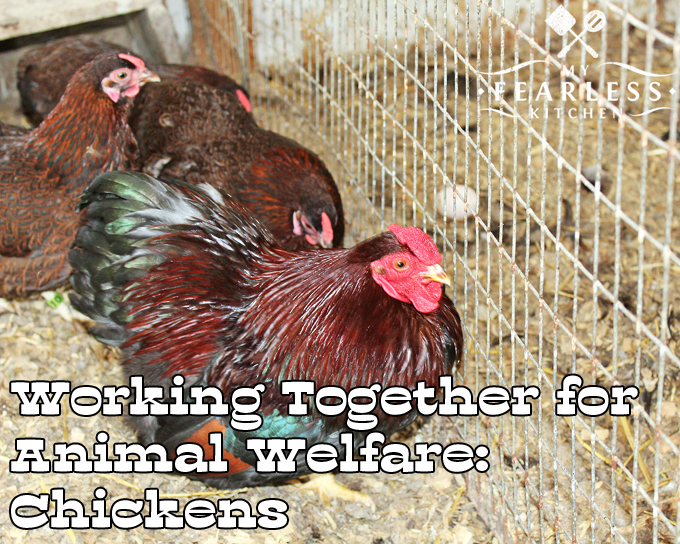 In large groups of chickens (like in cage-free barns), the chickens “meet” new chickens every day. They simply can’t remember who they have already met and who they have not. So the pecking order gets re-established every single day. This can cause a lot for stress on the weaker chickens, meaning that they always live in a state of “high alert.” They will likely not get access to as much food or water as they need, they won’t grow as well, and are more likely to get sick. Keeping chickens in small groups in cage-free barns or in smaller groups in cages is a way that farmers and veterinarians have worked together to keep chickens as stress-free and healthy as we can. For those of us who have chosen to take care of animals, it’s not just a job. It’s a way of life. Everything we do at the veterinary hospital or on the farm is related to taking care of these animals. They are our responsibility, and we take it very seriously. Even though they may not be our pets, they are still part of our work family. Why Do Cows Chew All The Time? How Old Are Your Cows? Is Cow Tipping a Real Thing? Excellent article! There is so much to consider when keeping animals to make sure they are safe & healthy. Thanks for sharing on Homestead Blog Hop!